Magic, designed by David Fox for Boss Design, looks like a cluster of woodland mushrooms when grouped. 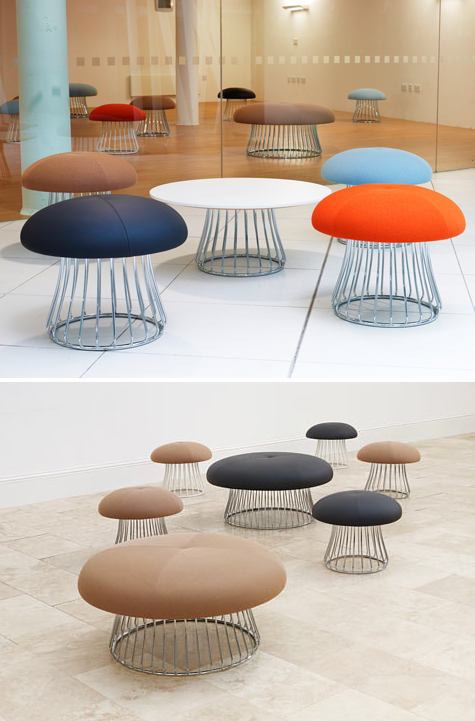 I like the contrast between the thick pouf and the airy base. If I knew I wouldn't be moving the table or seats around I would capitalize on that lower open space - a faux terrarium perhaps? What would you put in the "cage"?